VARS BRNO a.s. belongs among the leading Czech innovative companies reflecting current trends and thus significantly contributing to the development of safe, modern and efficient transport. These properties were also demonstrated in the project, "Solution for provision of traffic information to drivers in Prague", which earned the main title for the transport construction of the year 2013 in the category Technologies. 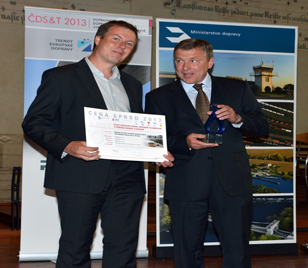 The awarding of titles and prizes of the 11th annual national competition CZECH TRANSPORT CONSTRUCTION & TECHNOLOGY OF THE YEAR 2014 was held on June 16th, in the Bethlehem Chapel in Prague, as is tradition. Ondřej Pokorný, the Director of the ITS Division of the company VARS BRNO a.s., received the award from the Minister of Transport of the Czech Republic, Antonín Prachař, in the category Technologies for the project "Solution for provision of traffic information to drivers in Prague". The uniqueness of this project was also praised by the Association for Development of Road Transport. 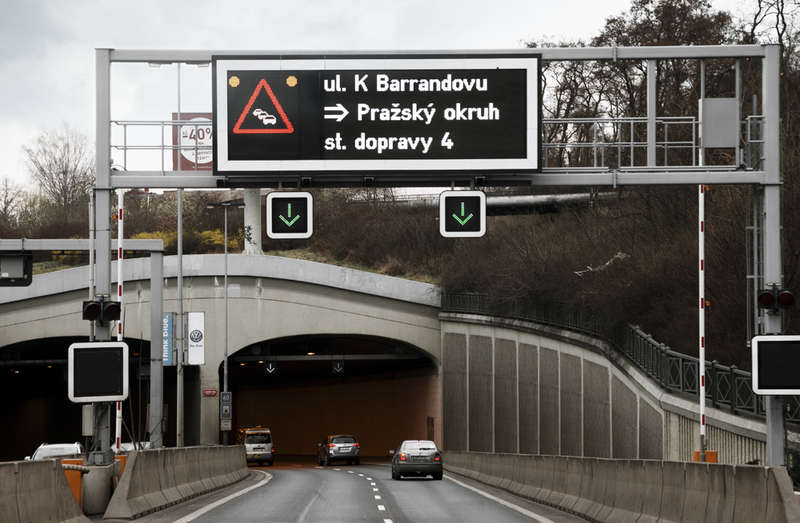 The basis for the winning project, "Solution for provision of traffic information to drivers in Prague", was the modernization and renewal of the existing system providing traffic information and, at the same time, the delivery, installation and commissioning of 51 information boards. The grounds for the functioning of this system are the so-called traffic scenarios which react to the occurrence of traffic events and automatically display information on relevant information boards. The uniqueness of this solution lies in the integration of all the components of traffic control into a single system. This ensures that drivers receive, at the same time, consistent information about the current traffic situation through information boards, websites, mobile applications or radio broadcasts. The Commission appreciated not only the in-time and high quality implementation of the project itself, but also its innovative approach. 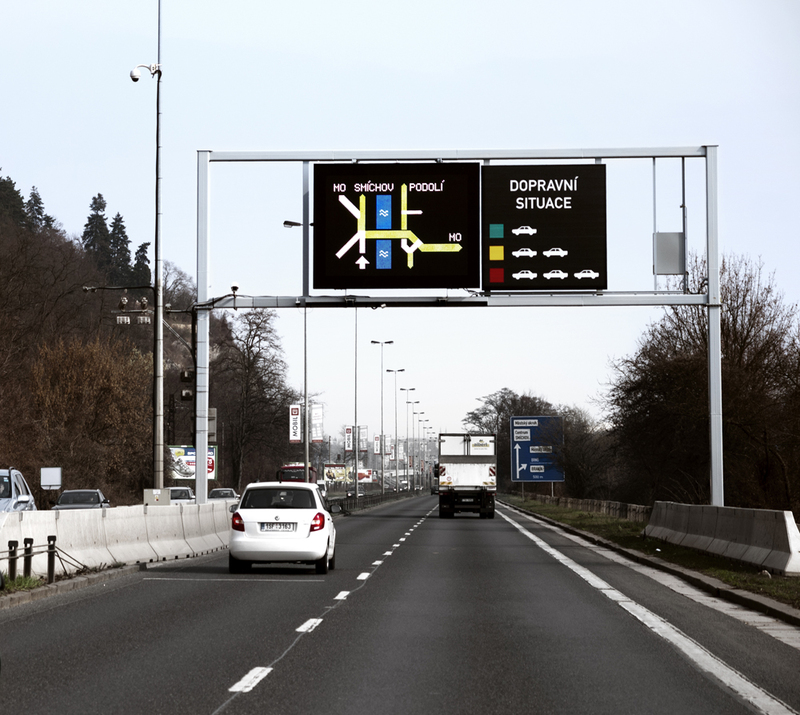 This winning project is the first implementation in the Czech Republic using modern full-matrix and full-color RGB information boards. The properties of this innovative technology enable the display current traffic load maps in color view (see the figure .....) This is the current trend in the field of ITS and transport, which was presented at the ITS Congress a few years ago. "We always try to be innovative, and I am glad that, with this strategy, we have also succeeded in the field of supply of telematics devices", adds Ing. Tomáš Miniberger, Chief Executive Officer of the company VARS BRNO a.s. The aim of the competition, traditionally held by the Ministry of Transport of the Czech Republic and the State Fund for Transport Infrastructure, is the professional presentation of various fields of the Czech transport construction and engineering professions not only to the public among transport amateurs and professionals, but also to Czech and European political representatives. The competition was held under the auspices of the Prime Minister of the Czech Republic, the President of the Senate of the Czech Republic, and many other personalities. The final ceremonial event was attended by various significant personalities from the professional, academic and political fields of the construction and transport industry. The organizer of the competition is the company TOP EXPO CZ, s.r.o. The competition could be entered with transport structures, sections of transport structures, separate construction objects and technologies, which were put into operation during the period from 1. 1. 2013 to 31. 12. 2013.